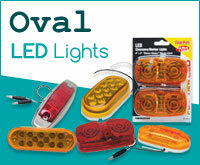 Whether you call them Truck Lights, Trailer Lights or Clearance Marker Lights, your getting a Great Deal. 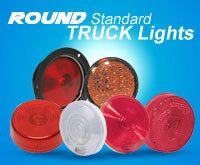 Stop & Get this Round Standard Truck Lights for your Trucks Now! 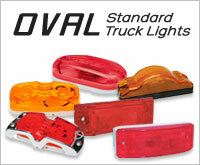 RoadTrucker offers you a set of Oval Standard Truck Lights for your Trucks. Comes with Cat Eye Bulb Oval, Double Bubble Bulb Oval, & Bulb Oval with Reflective Lens. 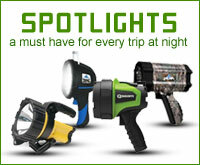 LED Truck Lights Save Down time and Reduce Operating Costs. LED Tail Lights light Quicker and can be seen farther. Get the Super Bright Round LED Lights with Chrome Reflectors Now! 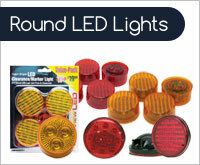 Comes with a different selection of Oval Lights w/ Cat Eye, Diamond Lens, Double Bubble, Wire Connection, Single Plug Connection, 2-Pack, Stainless Steel Base, Replaceable Lens, Low Profile w/Connector & Pigtail, Low Profile Sealed Stop/ Turn/ Tail Light, Diamond Lens w/3-Pin Plug-In Connection, Diamond Lens w/7 LEDs, & Mid-Trailer Sealed Light. Having trouble reading street signs at night? How many times have you needed a light and had to use a lighter or pen light or just did not have any light to use at all? Never again. Not as long as you have this powerful Spotlight with you.